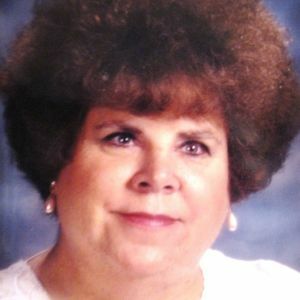 Joan Sparger Derczo Bogdanski, 66, a retired elementary teacher and beloved mother, went to be with her Lord on Tuesday, May 1, 2012, in Bedford. Funeral: 10:00 a.m. Saturday at Bluebonnet Hills Funeral Home in Colleyville, with Rev. Rusty Hudson of Grace Hospice officiating. Burial: Smithfield Cemetery, immediately following the services. Visitation: 6 to 8 p.m. Friday at Bluebonnet Hills Funeral Home. Memorials: In lieu of flowers, donations may be made to the American Heart Association. Joan was born on October 9, 1945, in Ft. Worth to proud parents Marvin and Edna Belle Harrington Sparger. Joan, the eldest of 3 children, was raised on a small dairy farm in Bedford. Since 2nd grade, she had a dream of becoming a teacher. Upon completing her Bachelors of Education at the University of North Texas, she realized this dream. Joan taught for 33.5 years- mostly 2nd grade at Lakewood Elementary in Euless- before retiring. She was the kind of teacher who not only taught, but listened to and cared for her students. Many times she wept tears over little ones struggling at home or in school, and prayed for them often just as if they were her own children. Joan was also known for her wonderful cooking, love of shopping, and laughter. She was a woman full of joy, faith, grace, and kindness. She was a devoted and loving mother to her only child Sonya and a wise counselor and friend. Joan's motto was, "we know that all things work together for good to those who love God, to those who are the called according to His purpose," Romans 8:28. Though loved ones miss her dearly, we rejoice that she is now pain-free and dancing with Jesus! Survivors: Daughter, Sonya Kaye Derczo Loudenberg of Bedford; son-in-law Robert Allen Loudenberg; granddaughter Sophia Belle Loudenberg; grandson Caleb Harvey Loudenberg; mother Edna Belle Harrington Sparger; sister Anna Belle Sparger Wood; and beloved nieces, nephews, cousins, and other precious family and friends. On behalf of my mother Belle Sparger and myself, I would like to thank you for the condolences and for sharing your memories of my sister Joan. The years passed so quickly. Enjoy your loved ones and count your blessings each day. This life is so very short. Again, thank you for the kind thoughts! It is gratifying that she was so fondly remembered. Ms. Bogdanski was my 2nd grade teacher at Lakewood Elementary. I am 34 years old and remember her and wish her peace..."we know that all things work together for good to those who love God, to those who are the called according to His purpose," Romans 8:28. May Mrs. Bogdanski Rest in Peace ~ She was always such a sweet lady with the biggest smile at Lakewood Elementary School. I'm sad to hear of her passing, my thoughts and prayers are with her family. I'll always have sweet thoughts and memories of Mrs. Derczo. She guided me through 2nd and 5th grade, helped me to read and write, sort out issues of Santa's validity and most importantly modeled a loving Christianity that applied to everyday life. I have employed a few of her wise sayings many times over in my life and exhorted my own children with them...and yes, I repeated her wisdom when my own children met their "Santa crisis." Her memory is blessed and I'm thankful she cared for me and that we shall meet again. Mrs. Derczo was my teacher at Lakewood Elementary in my 5th grade year in 1977. I remember her dearly for the gental way she had with her students and the time she devoted to us all. Teachers like her were rare then and certainly extinct today. I have often thought of her and wondered how she was, I did not know she was ill. This is truly a loss beyond measure. Rest in peace Mrs. Derczo and thank you. Some of my favorite school memories are with her! She was one of my favorite teachers! A great teacher! She will be missed. Your family is in my prayers. Please know that you are in my thoughts and prayers for grace, mercy, compassion, caring, love, strength, and peace! I am so very sorry for your loss, but I do have faith and believe that Joan is rejoicing in heaven this day and singing and shouting the victory that is perfect peace and complete healing for her body and spirit! The reason I believe she is rejoicing is our favorite scripture: Romans 8:28! "For everything does work to the good for those who are called by Jesus' name and for His Ultimate Glory in Heaven Forever and Ever!" Joan, God bless and it is wonderful to have faith and knowledge in the Father that we shall see each other in Heaven some day! Thank you for watching down on us and sharing your love with Our Father in Heaven for us and for His Glorious Mercy and Grace! God bless each of you, my wonderful friends! My most favorite teachers ever! Hope she knew how special she was!!!! Rest in Peace! One of my absolute favorite teachers. She is the standard for which other teachers should be. A true loss in so many ways.